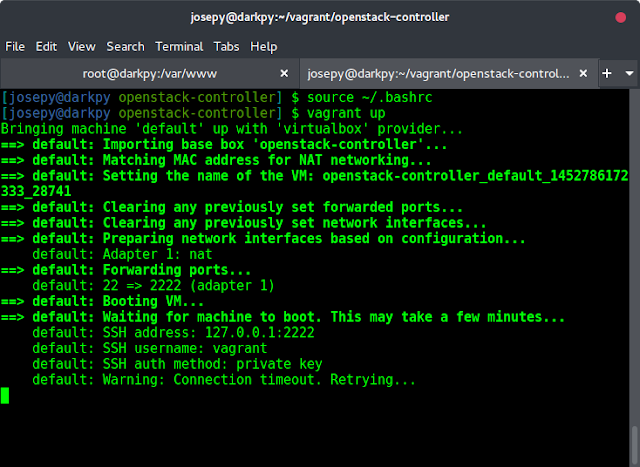 I have been using vagrant to manage my Virtual Machines for long time. Vagrant provides you with such cool Virtual Machines control system. I tried creating a virtual machine on my Fedora 23 Distribution but got error message “the provider ‘libvirt’ could not be found, but was requested to back the machine ‘default’. Please use a provider that exists”. After few googling i found simple solution that work. Then make Virtualbox vagrant’s default provider by typing following commands. Now you can add Vagrant box using any of the following tutorials.